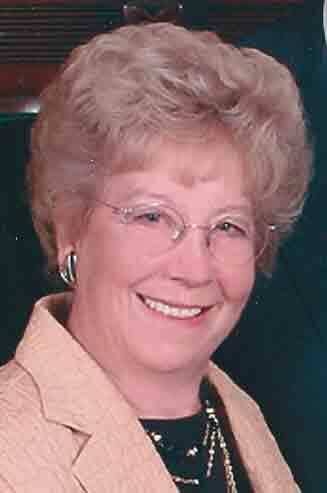 Jeanette M. Hunt, 85 of Fort Dodge passed away Friday, June 22, 2018 at Buena Vista Regional Medical Center in Storm Lake. Funeral services will be 10:30 Tuesday, June 26, 2018 at St. Paul’s Lutheran Church with Pastor Al Henderson officiating. Burial will be at North Lawn Cemetery. A visitation will be 4:00 to 7:00 pm Monday, June 25 at the funeral home. Laufersweiler-Sievers is serving the family. She is survived by her husband, Eldon of Fort Dodge; 4 daughters, Jan Coy of Plainfield, IL; Pam (John) Nelson of Gowrie and their son, Michael Nelson; Lori (Frank) Ludgate of Bettendorf and their children, Daniel (Gretchen) Ludgate and Marie (Eric) Burton; Kim (Ted) Vaughn of Fort Dodge and their children, Amber (Chad) Kelley, Courtney Vaughn (Bo Darrow), and Tyler Vaughn; and 4 great grandchildren. She was preceded in death by her parents, Ora and Margaret (Franklin) Clark; and her brothers, Dean and Dale Clark. Jeanette Marie Clark was born on February 19, 1933, in Linden, IA. She attended schools in Jefferson and graduated from Jefferson High School. On September 25, 1955, she was united in marriage to Eldon Hunt and the couple made their home in Glidden and the couple later moved to Fort Dodge. Besides raising her 4 daughters, she was employed with Jim’s Floor Covering and later at Decorators Floral and Gifts. Jeanette loved her husband of 62 years, her daughters, grandchildren and great grandchildren. She especially enjoyed attending her grandchildren’s activities.